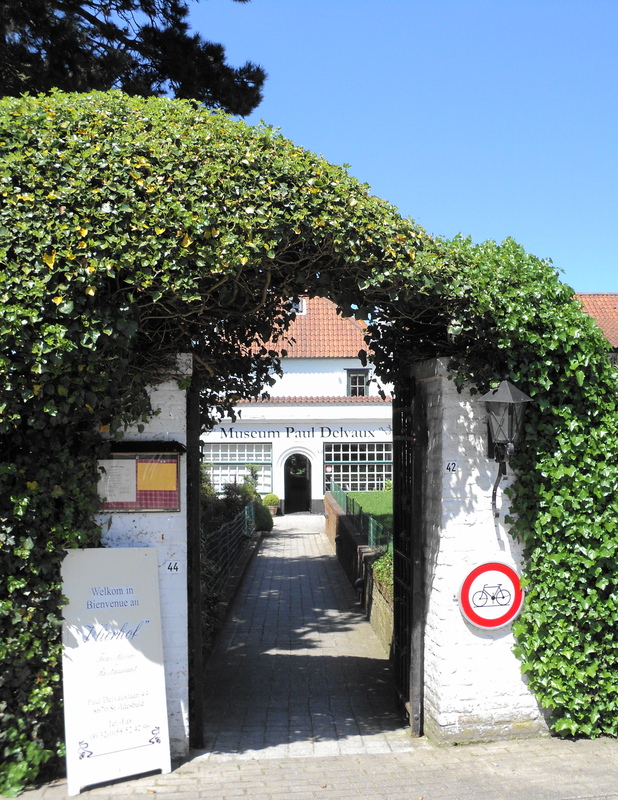 It is a real quest to get to the Paul Delvaux Museum in Sint-Idesbald–Koksijde, but it is worth the effort. 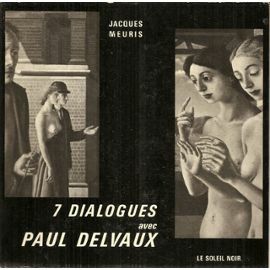 The quest begins on the train from Paris to Dunkerque with the reading of an interesting book of dialogues, where only the first level of the dialogue is a proper one (the other levels are those between images and texts, and of imaginary letters addressed to Delvaux),Jacques Meuris tries to elucidate the meaning of Paul Delvaux’s paintings and the painter avoids several of his questions and all direct interpretations. But while he avoids theorizing his own paintings, several very concrete, very material elements are mentioned in the discussion that help us really see what happens within these paintings and outside them. Some interesting statements are made very early on: for example, Delvaux admits that the images of people in his paintings cannot be considered as “portraits”, although he always paints human figures. They are rather elements of the painting just like trees or a door or a window. Then he speaks about the temporality in his paintings: “these figures don’t have a (personal) history, they just are”, which means also that the narratives that we associate to these paintings come from our interaction, our dialogue with them. Another question is inevitable: can these paintings where in most cases there are depicted women with no clothes on be conceived as nudes? Delvaux is again very convincing about this: what interests him is somehow beyond these bodies irradiating light – but the female figures are, as he says, key elements that give “altitude” to the painting. The women figures are a sort of apparition in several of these works, and they participate in a strange sort of spectacle. Some of these “shows” are transcriptions of dreams, but not only Delvaux’s own dreams: sometimes they are inspired from narrations other people’s dreams – and this search for an oneiric language might explain also the specific relationship of Delvaux to temporality. Among the male characters there are recurrent figures also: self-portraits but also symbolic parts or alter-egoes of the self. Male scientist figures for example, taken from books by Jules Verne (Journey to the Centre of the Earth) are, as he admits, most of the time in a specific contrast with the female figures, but are not intended as comic figures in themselves. As Meuris points out, a very important question is whether these figures communicate among themselves or just find themselves part of the same scene without actual contact? If we think about Jung’s very important observation concerning dreams – that the dreamer is not only his own character in a dream, but plays several roles, he is in a way everyone from the dream –, then we might understand even better the effect that these paintings stir within their viewers. The connexions with the paintings of de Chirico are also discussed as a very important starting point in the painter’s career in the thirties, but Delvaux moves on towards a different direction – as he says, Chirico’s kind of metaphysics is not the one he tries to follow. But the main statement of the dialogue is Delvaux’s insistence on the idea that his paintings have a meaning that is poetic – and thus cannot be (fully) conceptualized. This is perhaps the main difference between Delvaux and Magritte, where the ideas seem much more dominant, although they also retain an element of paradox, of uncommunicability. 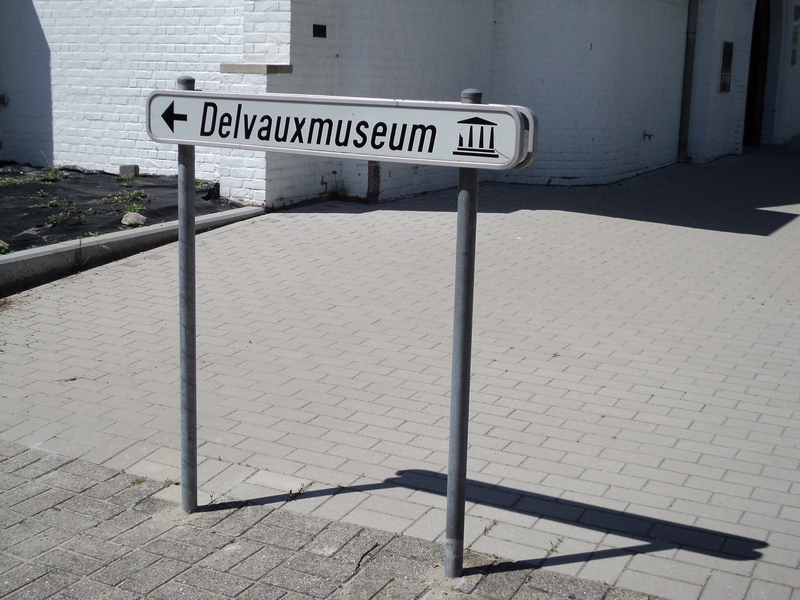 The quest to the Delvaux Museum is thus a quest for a meaning, a quest where the apparitions are to be followed, where the settings are to be noted. The bus and then the coastal tram takes the traveler close to the site, and there a first astonishment: most of the paintings discussed at large in the book of dialogues are precisely the ones present in the museum: L’abandon, La gare forestière, Le sabbat, Pompei etc… A very dense material, in spite of the restrictions resulting from the size of the building. The visitor enters a very intimate and a very personal space, descending to an underground area where the core of the material can be seen. And then the lights of the rooms in the museum. 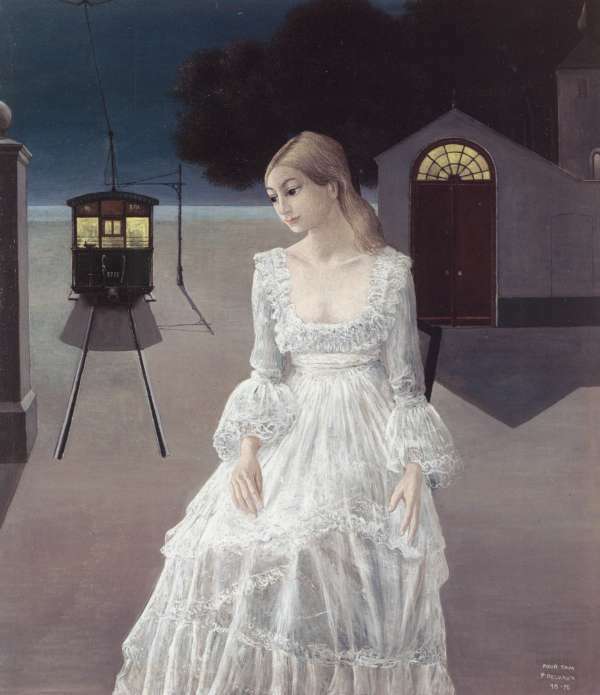 It is the feeling of entering Delvaux’s paintings, sitting perhaps on a bench in a forest, and waiting for a train to come. Something has been found there, although the traveler is not yet very sure about what it was. Lovely read, thank you for writing it. 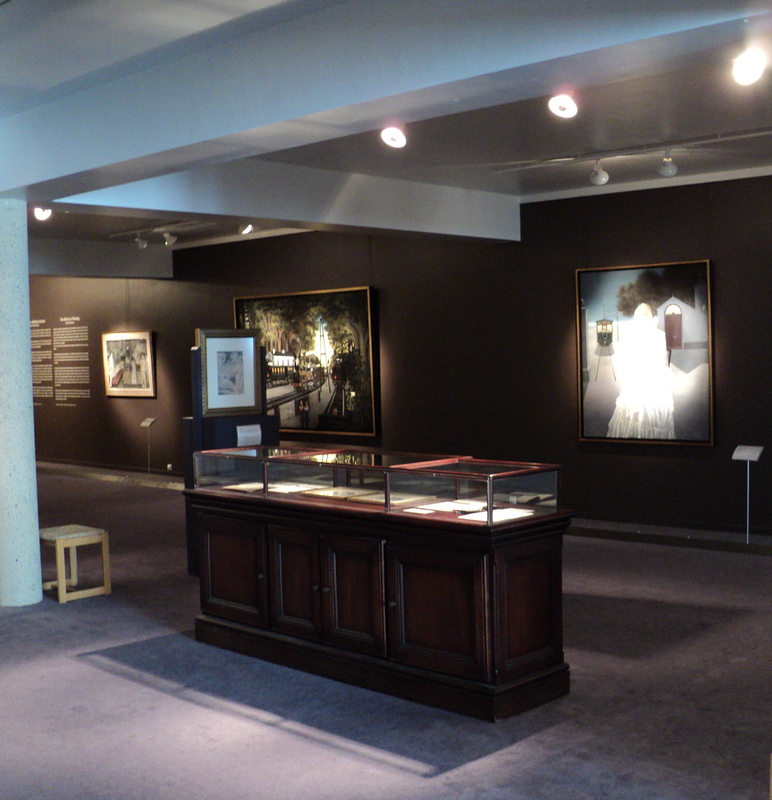 I hope I will be able to see his paintings in this museum someday soon. I have only seen one, the Landscape with Lanterns in Albertina, Vienna. I remember staring at it for quite some time, just mesmerised. And then disappointed since they had only one of his paintings. Now I’ve seen most online, but it’s never the same as seeing it when it’s right in front of you.